PARLIAMENT – Speaker of Parliament on Tuesday afternoon tasked the Minister for Justice and Constitutional Affairs, Maj Gen (Rtd) Kahinda Otafiire, to clarify claims he made at the weekend that he would not be rushed into drafting a Bill on electoral reforms. Gen Otafire, who was speaking in his home district of Mitooma in western Uganda at the weekend said that he would not be rushed into presenting electoral reforms and that those in a hurry should wait a little longer. And raising a matter of urgent national importance in Parliament on Tuesday, Theodore Sekikubo (Lwemiyaga) asked the Speaker to punish Otafiire who he accused of desecrating the decorum of the National Assembly by addressing the media on parliamentary matters at his home. “For the minister to sit at is home and address the media at his home which is in a way is betray the integrity and decorum of parliament is very unacceptable not only for me but to every member of this House,” said Mr Sekikubo. In response, Ms Kadaga asked the minister to explain the allegations. However, Mr Kassiano Wadri (Arua Municipality) asked the minister to indicate the timeline for the release of the reforms. In response, Gen Otafiire said he needed time for compile them. 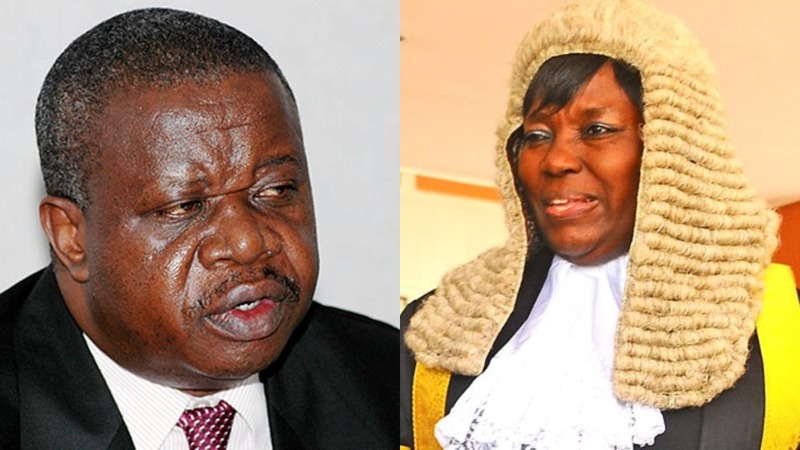 However, Kadaga directed Otafiire to follow the directives of the Supreme Court on the matter. “Now, please separate the constitutional reviews from the electoral laws; there are directives of the Supreme Court that were supposed to have been held in two years,” she told the minister.